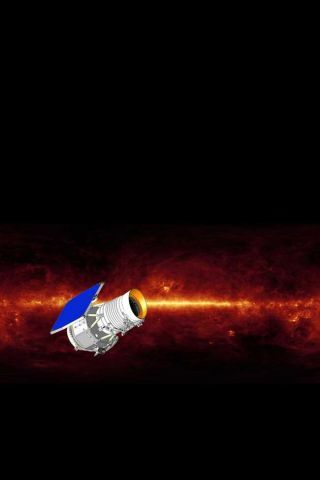 A problem with a rocket steering thruster will keepNASA?s latest space telescope stuck onEarth until at least Monday. NASA has already pushed back the launch of its new Wide-FieldInfrared Sky Explorer (WISE) telescope twice due to the glitch and thedelayed liftoff of another rocket. WISE was targeted to lift off Saturday morning, but is now slated to blast off Monday at 9:09 a.m. EST (1409 GMT) from VandenbergAir Force Base in California. ?Mission managers have implemented a plan to completely resolvethe anomaly,? NASA officials said in a status update. That plan includesremoving a suspect part in the steering thruster on WISE's Delta 2 rocket and replacing it with a newone. The $320 million WISE telescope has an ambitious 10-monthmission to map the entire sky in infrared in unprecedented detail. Once inorbit above Earth, the observatory is expected to scan the sky 1 1/2 times innine months before completing its mission. Scientists have said the infrared-scanningWISE is capable of detecting objects that would otherwise be hidden to visiblelight instruments. Among their targets: dark asteroids lurking in the solarsystem; oddball brown dwarfs that are neither stars, nor planets; and distantgalaxies that shine ultra-bright in infrared, but are invisible to visiblelight instruments because they are shrouded by interstellar dust. Cataloging hard-to-spot asteroids within the solar system isvital to safeguarding the Earth, researchers said. "We can help protect our Earth by learning more aboutthe diversity of potentially hazardous asteroids and comets," said AmyMainzer, deputy project scientist for the mission at NASA?s Jet PropulsionLaboratory in Pasadena, Calif.
Whileweather forecasts have been gloomy for WISE?s launch windows this week, thereis an 80 percent chance of pristine conditions for Monday?s attempt, missionmanagers said.